Natural Pain Relief for back pain, herniated discs, spinal injuries and more. Can Chiropractic Care help with a Herniated Disc? Studies reveal a 90% success rate where herniated disc patients reported considerable improvements within months of receiving chiropractic adjustment. We can compare spinal disks to a sponge. When a sponge is dry, it is hard and can crack easily. Very similar to this is how most disc problems begin. 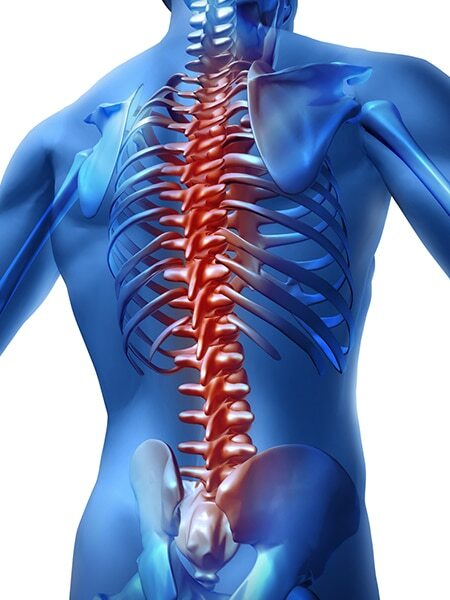 The spinal discs have poor blood supply and they depend on the circulation of joint fluid to bring in the nutrients as well as get rid of the waste. If this pumping action becomes disabled, the joint will lose its regular motion. That is when the health of the disc begins to deteriorate. A common misconception of discs is that they slip. However, discs cannot “slip” because of the way they are attached to the vertebrae. An injury or trauma to the disc can cause for it to bulge or herniate. In worst case scenarios the disc could even rupture. Any of these problems can cause too much pressure on the spinal cord as well as the nerve roots causing interference with their function. When you seek chiropractic help, the chiropractor will help restore motion and improve the position of the spinal joints. A good spinal function will help decrease inflammation and reduce disc bulging. By decreasing inflammation, the healing process will begin around the soft tissue. Chiropractic care and treatments are often a preferred solution to avoid risky surgery as well as a possible dependency on pain medications and the side effects these medications carry. Many patients have found relief through the non-invasive chiropractic methods and have avoided other larger health issues by doing so. Non-surgical chiropractic spinal decompression, also referred to as “Ring Dinger“, works by carefully stretching spine and correcting it to take the pressure off the pinched nerves and herniated, bulging or injured spinal discs— which are gel-like cushions between the bones and holds the spine together. Taking the pressure off the spine structure helps remove any interferences and promote healthy flow of water, oxygen and nutrient-rich fluids into the disks throughout the spine and trigger natural healing. At Comfort Chiropractic, leading chiropractic center in Raleigh, NC, we provide spinal decompression to treat various painful and debilitating spinal conditions and injuries, such as Back Pain, Neck Pain, Herniated Disc, injured spinal nerve roots and more. During a spinal decompression treatment session, you are fitted with a harness around your pelvis and trunk. You will be asked to either lie face down or face up on a chiropractic table. Dr. Johnson will customize your chiropractic treatment to suit your specific health needs. Each spinal decompression treatment session may last 30-45 minutes. Depending on your unique condition, you may be required to have a series of chiropractic sessions over a span of several weeks.